With influencer marketing being THE buzz word in all of advertising and marketing today, our team decided to take our massive amount of knowledge and help marketers develop some truly deep insight into how to avoid mistakes, while building powerful influencer partnerships. We created a course specifically for brand and agency marketers, as well as those planning on working for brands and their agencies, to provide insight into how influencer marketing strategies work, and the best practices and strategies to make them do so. Get ready to learn a ton of how-to's and the tips and tricks of our trade, as you advance your influencer marketing game! 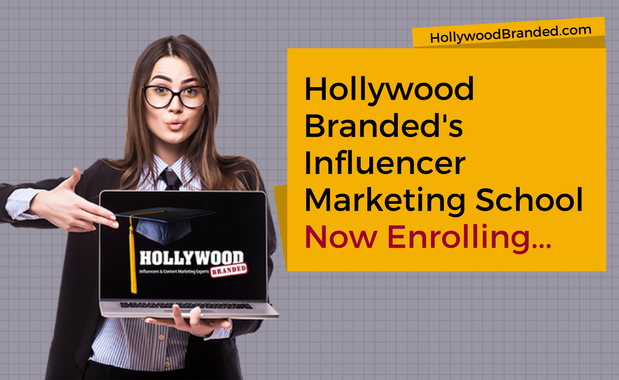 In this blog post, Hollywood Branded provides a glimpse into the launch of our Influencer Marketing School, and how your brand or agency can benefit. The hippie revolution of the 1960’s ushered the way for an emerging culture centered around the consumption of cannabis. Today, the plant, commonly referred to as “Mary Jane” or “weed”, has become a social hub for activists, influencers, enthusiasts, music artists, celebrities and the like to celebrate the euphoria-inducing drug in all its many uses. As state regulations continue to evolve and mindsets towards usage become more open, even more celebrities will be becoming 'brand' advocates and open to partnerships. 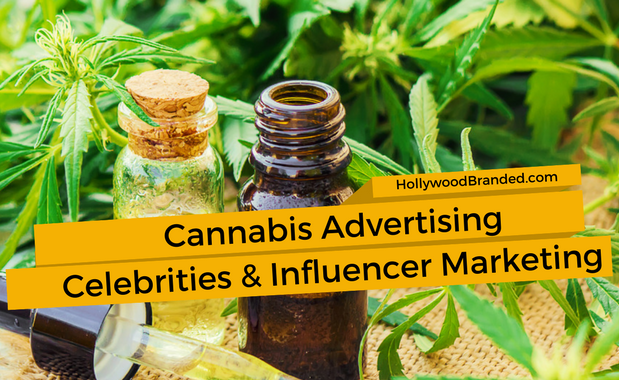 In this blog, Hollywood Branded discusses how cannabis brands have used Influencer Marketing and Celebrity Influencers to advertise, and shares our infographic on cannabis influencer partnerships. The time, attention, and effort that individual consumers are willing to put into taking care of their health and wellness seems to have jumped dramatically within the past decade. Instagram is constantly cluttered with up-and-coming brands that are promising the next best product to take care of your body and mind, and prevent long-term diseases. With the plethora of health and wellness products at a consumer’s disposal, brands may be wondering what they can do to make themselves standout. It’s not a lost cause, and in fact, there are multiple ways brands can really help make themselves stand out from competitors. 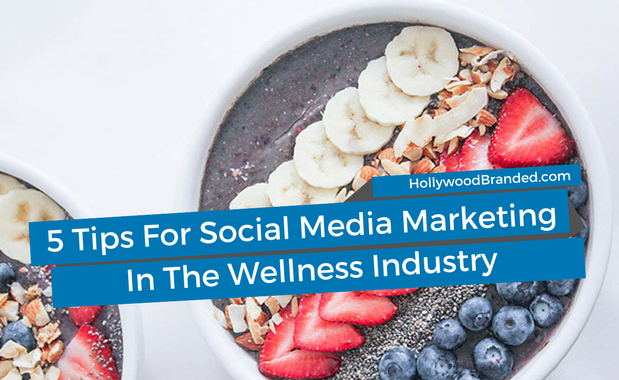 In this blog, Hollywood Branded shares 5 tips for social media marketing in the wellness industry, to help brands up their social media game to engage consumers and drive purchase behavior. Global brands seeking to impact an international audience through entertainment and celebrities have a phenomenal platform to leverage - the thriving world of Bollywood. For brands, Bollywood offers big celebrity names, massive fame potential, AND an ability to get into the game of exciting content marketing within one of the biggest blockbuster film industries in the world - which, by the way, releases well over 1,000+ movies every year! Yep. More than Hollywood. Numerous brands have figured out how to best incorporate these Indian actors and actresses into their own campaigns, by even helping them grow their stardom through the brand's own advertising. The fact is, the market audience in India offers phenomenally strong (and prosperous) partnerships through influencer marketing collaborations with high end celebrities. 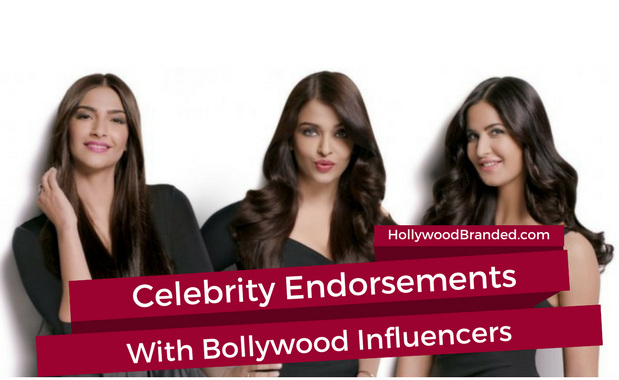 In this blog, Hollywood Branded takes you behind the curtains to share how Bollywood's South Asian cultural identity can provide potential golden opportunities for your brand with Bollywood’s very own celebrity influencers! In the shadow of famous well-known social influencers, a new trend has arisen: the micro-influencer. These individuals have fewer, but very faithful followers. They often focus on a niche topic, such as health, exercise, food or beauty. And, what makes them so powerful to brands, is that they also have a very high percentage of likes and comments. These influencers can generate a higher, more organic reach and engagement on social-media platforms for brands as well. Why? Well, because a micro-influencer, who posts a photo on their social media account is perceived to be more realistic than compared to a “celebrity-influencer” who you automatically think is posting things as a paid collaboration. No, the biggest isn't always the best option for every brand. 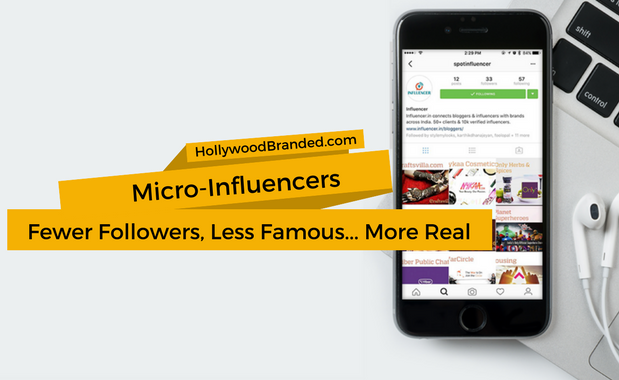 In this blog, Hollywood Branded discusses why brands can benefit from micro-influencers who have higher engagement than other larger social influencers.